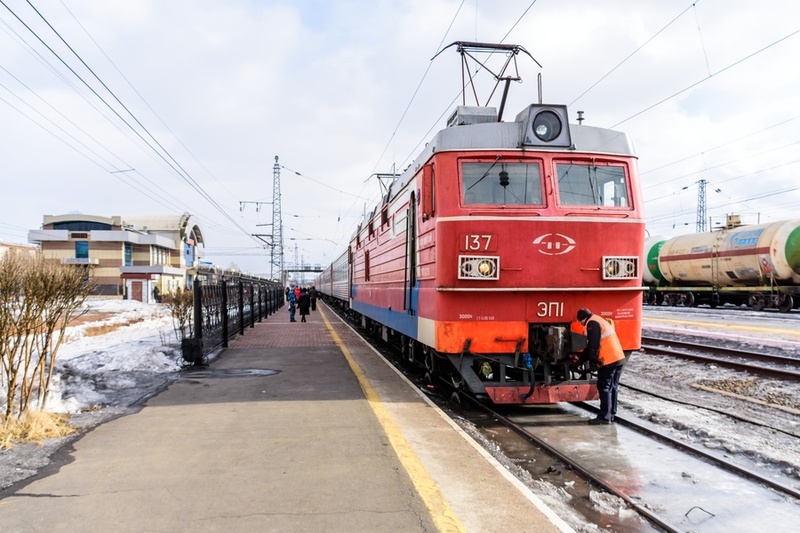 We travel from Severobaykalsk to Irkutsk in 31 hours, aboard a train that runs first along the Baikal-Amur railway line (BAM) to Tajset, and then along the Trans-Siberian railway up to our destination. The BAM railway line, or Baikal-Amur Mainline, is an ordinary gauge railway that crosses eastern Siberia for 4324 kilometers from Tayshet, in the heart of the continent where it interconnects with the Trans-Siberian Railway, up to Sovetskaya Gavan on the shores of the Pacific Ocean. Along the BAM railway there are 21 tunnels and as many as 4200 bridges, for an overall length of respectively 47 and 400 kilometers: for the difficult territory that it crosses, for the length and for the extreme climate, the railway has been described in Russia as "the project of the century". The legendary Trans-Siberian railway certainly needs no introduction: with a total development of 9289 kilometers from Moscow to Vladivostok, on the coast of the Pacific ocean, the Trans-Siberian is the longest railway in the world (not to mention the additional branch lines into Mongolia, China and North Korea). 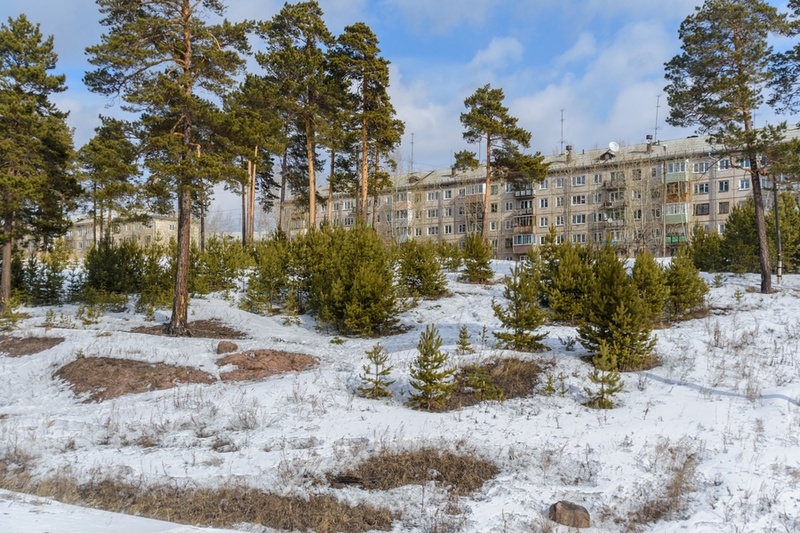 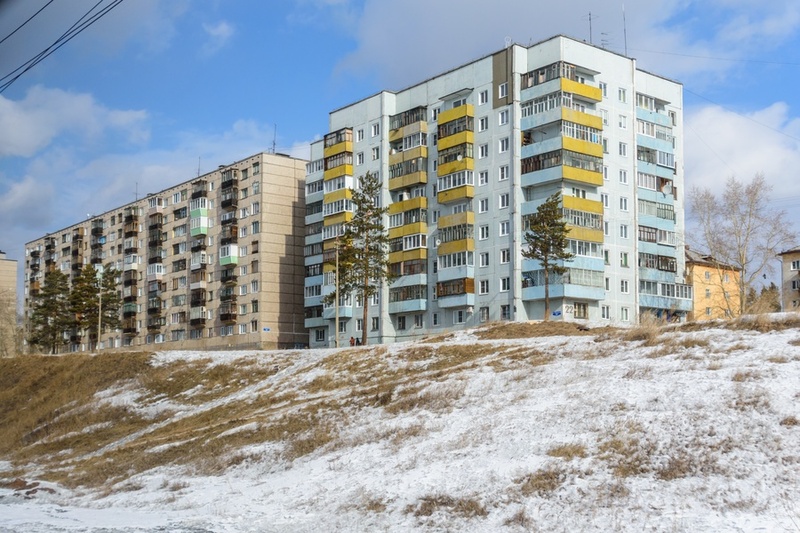 In addition to specific tours dedicated to the discovery of the whole Trans-Siberian line, the railway is often an excellent solution (and sometimes the only one) to move around in Russia and Siberia, with trips that may last from few hours to many days. 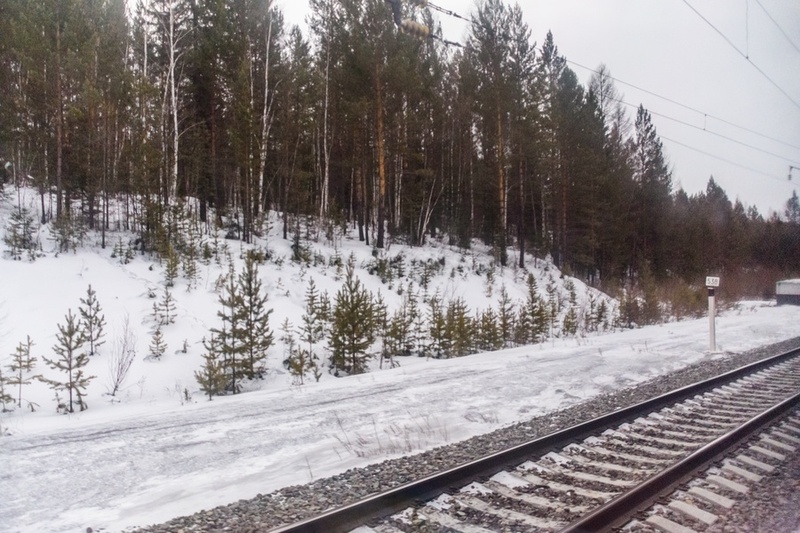 So, let's discover together these railways on a trip from Severobaikalsk to Irkutsk by train, a 31-hour journey that offers the unique opportunity to travel on both BAM railway and Trans-Siberian railway, giving a glimpse on both of them as well. 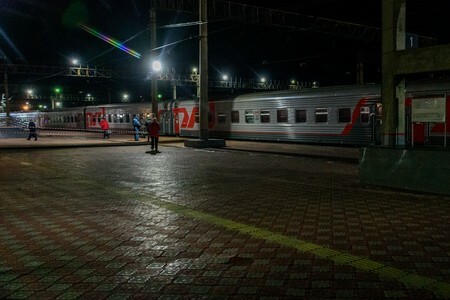 Let's see how trains are, where passengers travel or sleep, how is the landscape crossed during so many hours and how are the numerous stations along the itinerary. 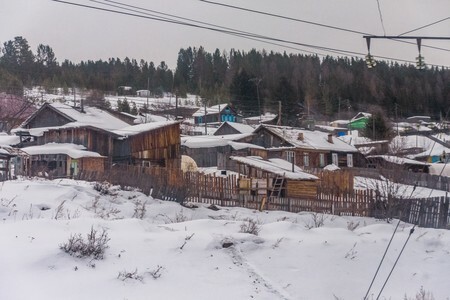 The train leaves from Severobaikalsk late in the evening of day 1 and travels on the BAM railway for about 20 hours to Tayshet, where the BAM line ends and connects with the Trans-Siberian. 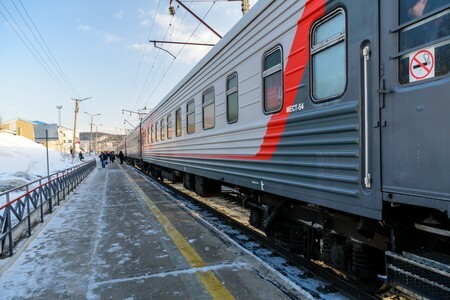 The train then reverses the direction of travel and the journey continues right on the Trans-Siberian railway where the passengers will spend the second night on board. 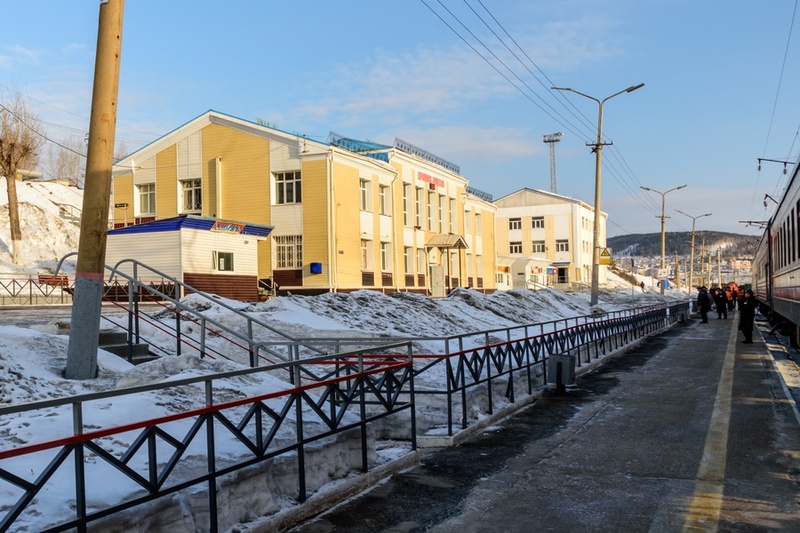 The arrival in Irkutsk is on day 3 very early in the morning (after a stop of half an hour, the train continues towards southern Lake Baikal, actually terminating its service in Ulan-Ude on early afternoon of day 3). 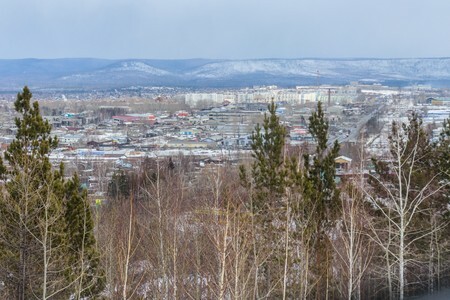 Considering that the distance between Severobajkalsk and Irkutsk in a straight line is only 500 kilometers, 31 hours of travel may seem a lot: this happens not because the train is particularly slow (indeed it is, but not SO slow), but because the railway circumscribes mountain ranges and territories where it would be too difficult to build any complex infrastructure: in a few words, it travels west for 700 kilometers, then "bends" to the south-east, finally reaching Irkutsk after another 600 kilometers. 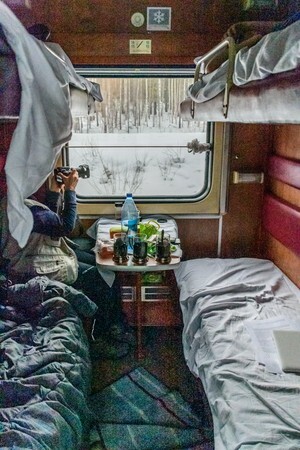 But now let's see some photos of Siberian trains. 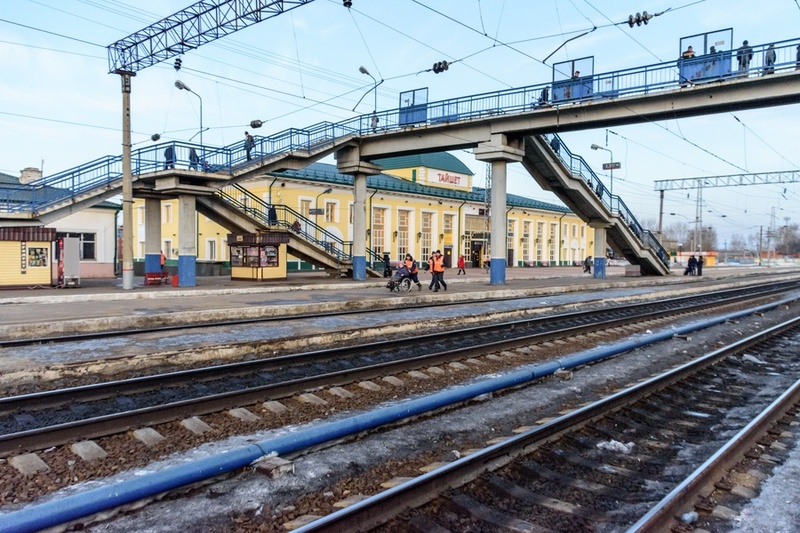 The journey by train from Severobaykalsk to Irkutsk starts right at Severobaykalsk railway station on late evening. Part of the trip will be on the BAM line and part of the Trans-Siberian line (but there is no need to change the train, as it isn't a connecting service). 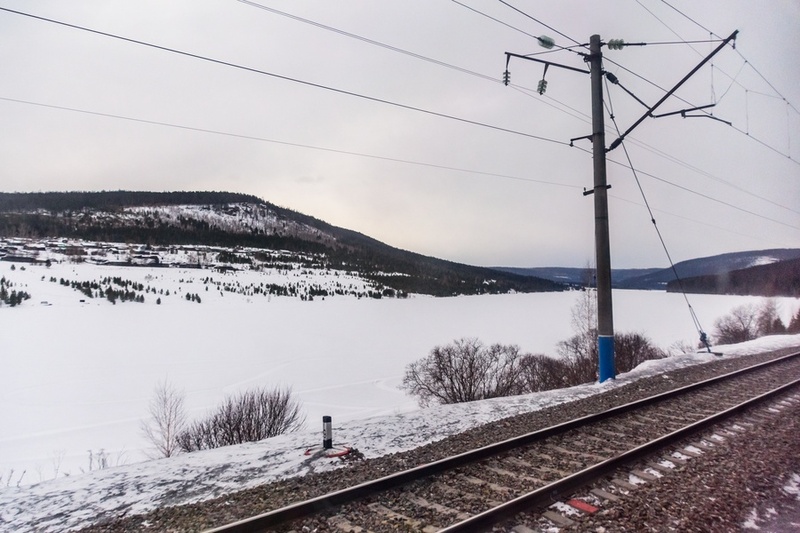 The train from Severobaikalsk to Irkutsk, continuing to Ulan-Ude, is available more or less once a day. 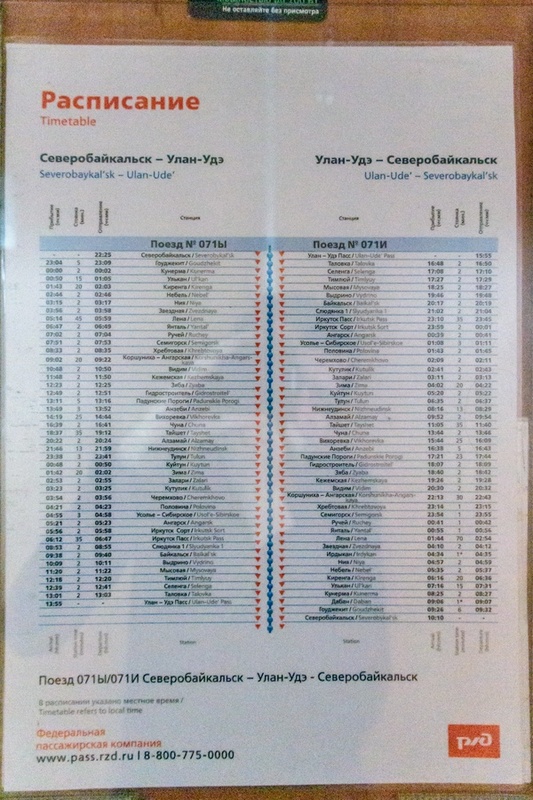 Passengers on board will find a timetable with a list of all the stops and the duration of each stop. 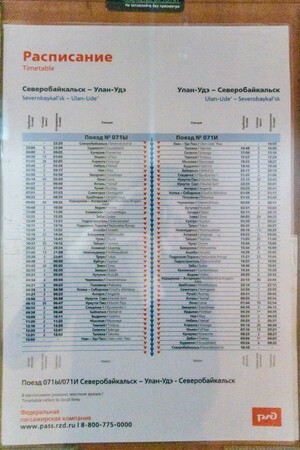 The train usually has 8 coaches and 3 classes of service. The stop at the Korshunikha-Angarskaya station , along the BAM railway line (Baikal-Amur Mainline), lasting about twenty minutes. 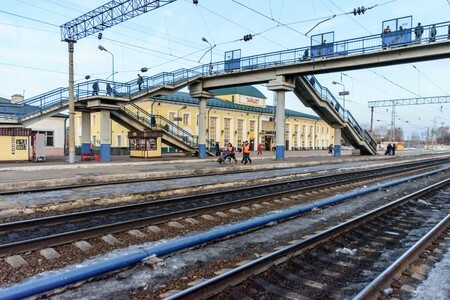 During longer stops, passengers may stretch the legs outside along the platform. 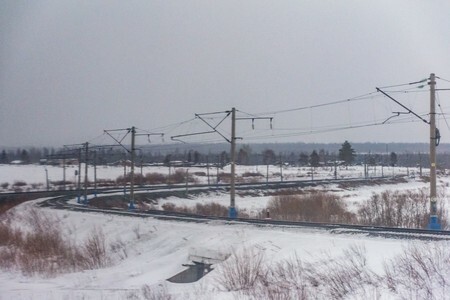 The BAM railway line with the various branches and interconnections with smaller local lines. 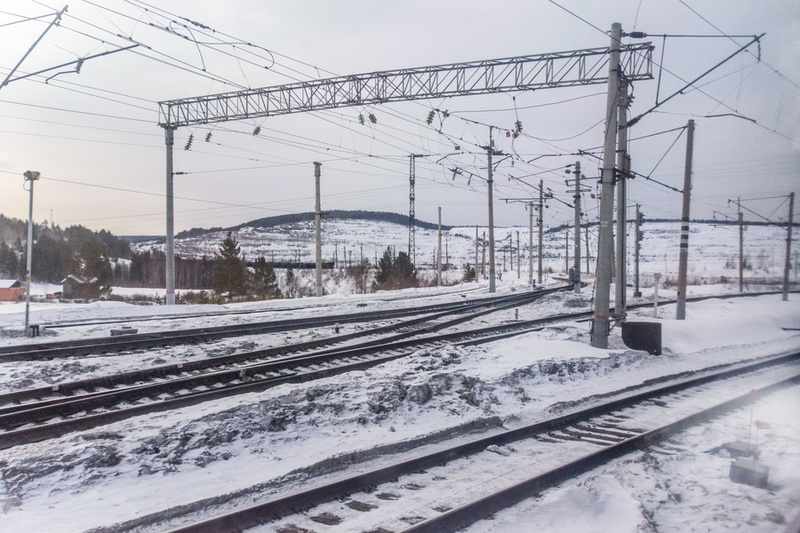 Less than half of the BAM railway is electrified, but there are plans to electrify it entirely. 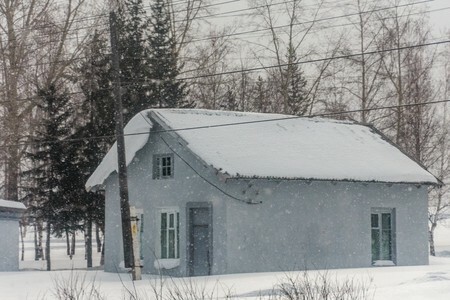 One after the another, at a distance of 5, 10 or 20 minutes, the train travel near small villages in the middle of Siberia. 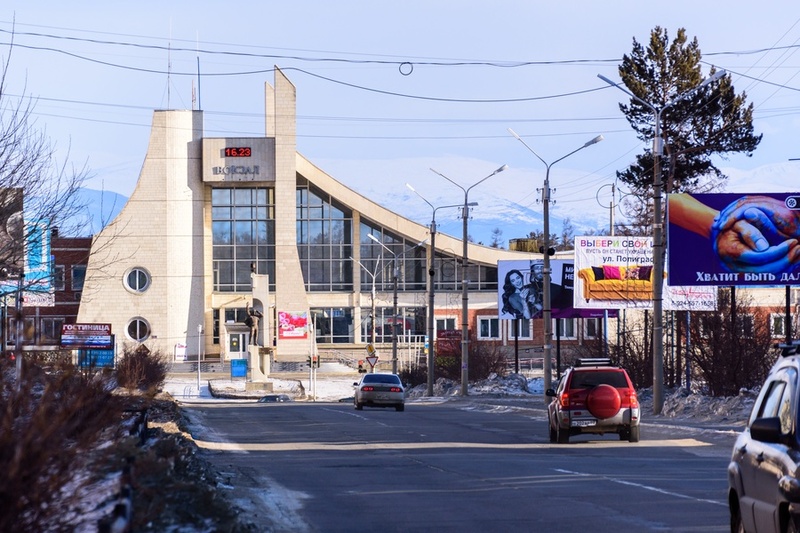 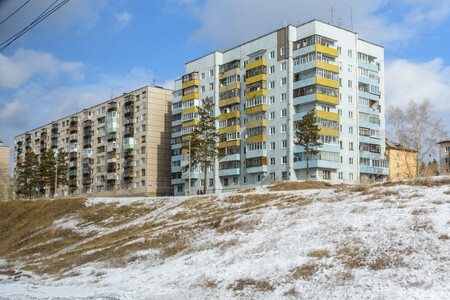 This long-distance train stops only at the main locations (there are about 36 stops between Severobajkalsk and Irkutsk), while local trains are available to serve also the smaller villages. 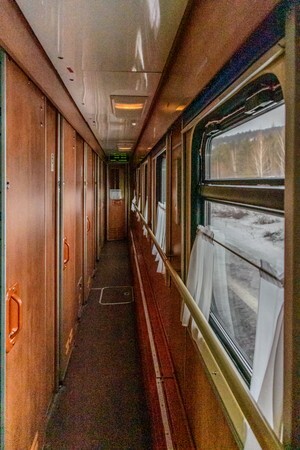 The second-class corridor of the train, from where passengers can access their cabins. The second class bunks have 4 beds, 2 lower and 2 upper, a window, a small table, some storage room under the ceiling for larger luggage (and some additional space under lower beds). The space is limited and after a few hours, with 4 passengers, the cabin becomes quite messed. A large window offers the opportunity to admire and photograph the landscape of Siberia, while the bathrooms are shared and are 2 per coach. 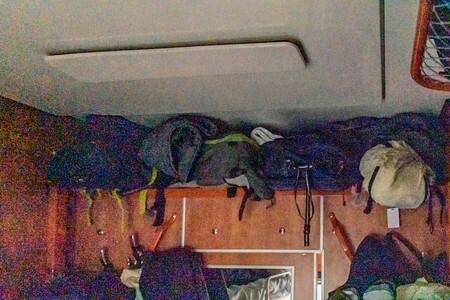 For those who are particularly sensitive to seasickness, I suggest to sleep on the lower bed where the oscillations are less, and also to bring medication against motion sickness. 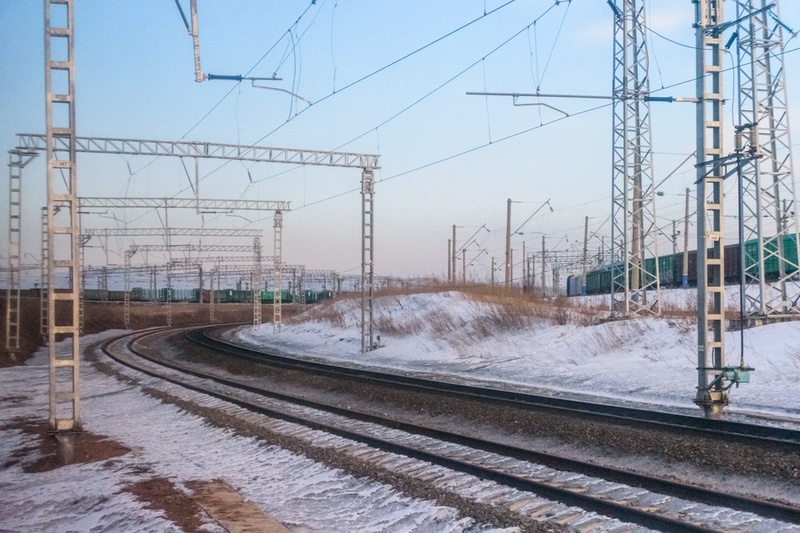 The problem is particularly evident on the BAM line (therefore between Tayshet and Severobajkalsk) as the track is much more tortuous than the Trans-Siberian. 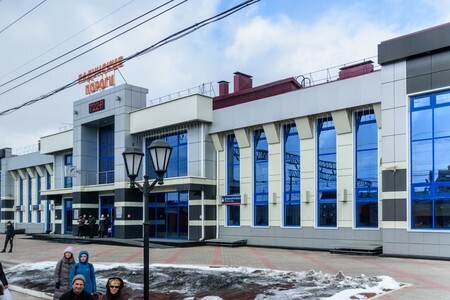 The train has a restaurant, but prices are expensive and the choice is limited. It is best to buy snacks and food in a shop, before boarding the train in Severobaikalsk. A small station in the middle of nowhere, perhaps the only way to get to this village. 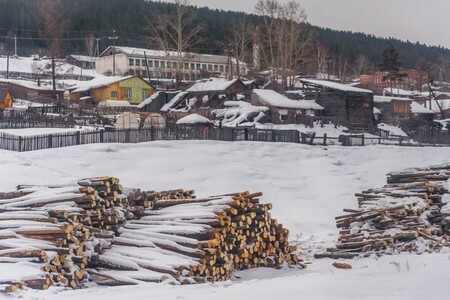 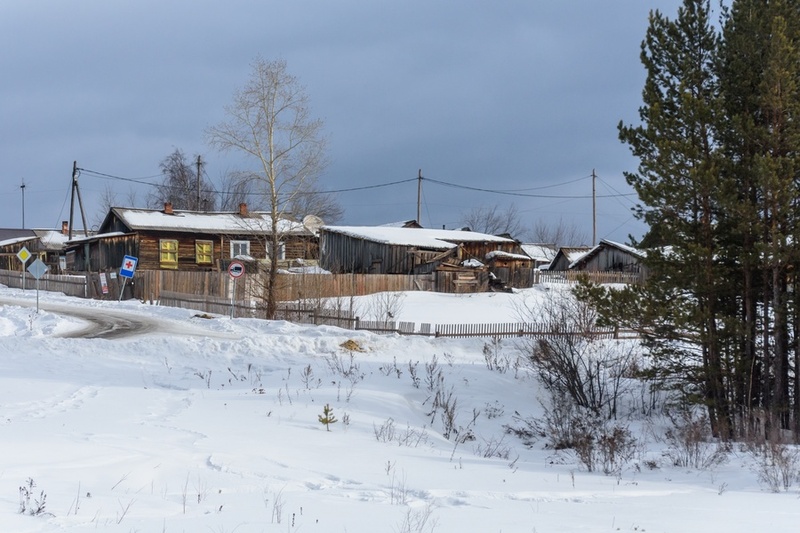 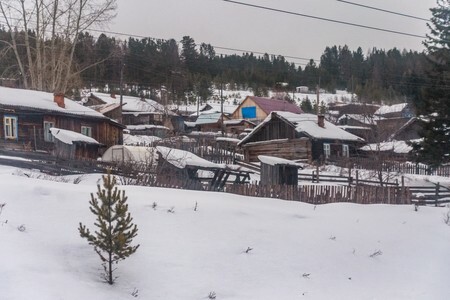 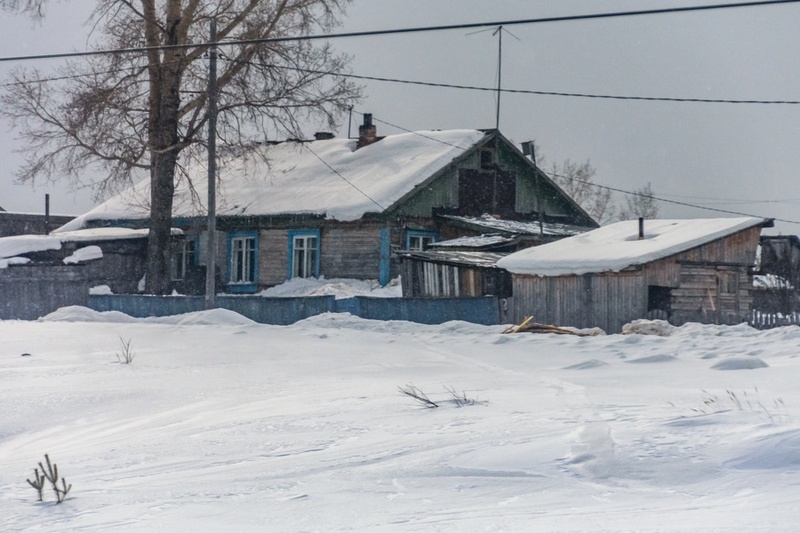 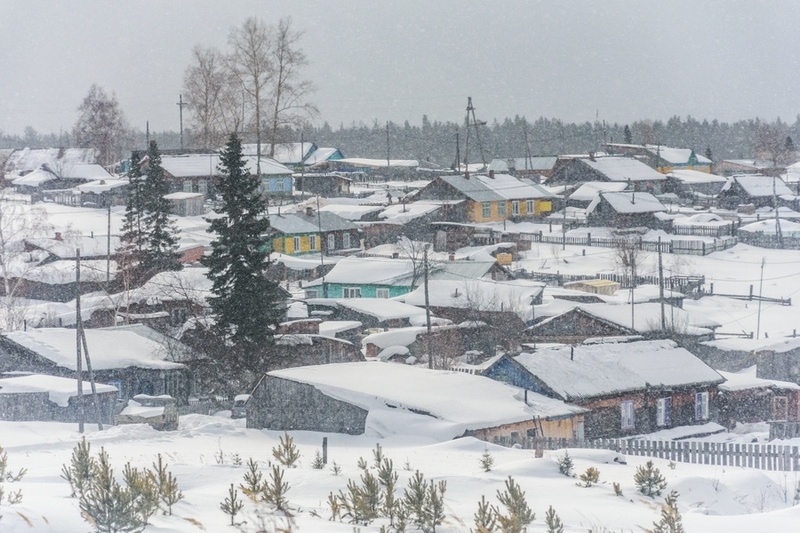 From the window of the train, along the Baikal-Amur Mainline (BAM) in Siberia, small villages continue one after another. 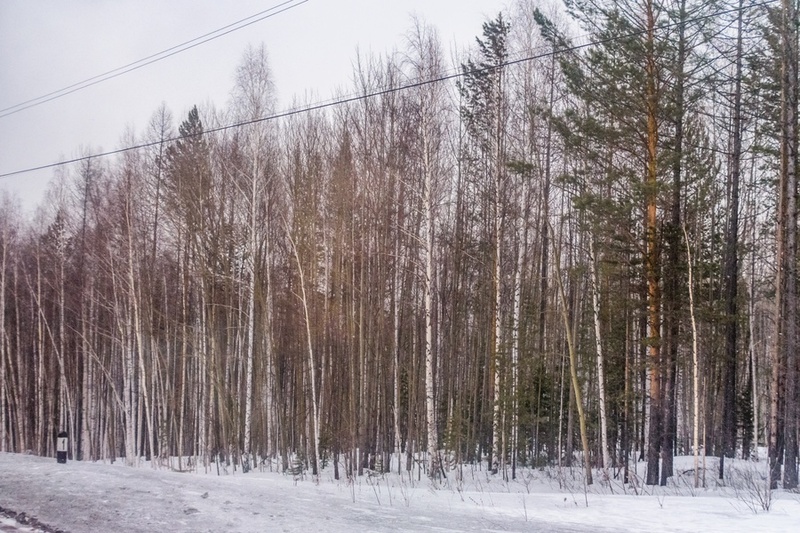 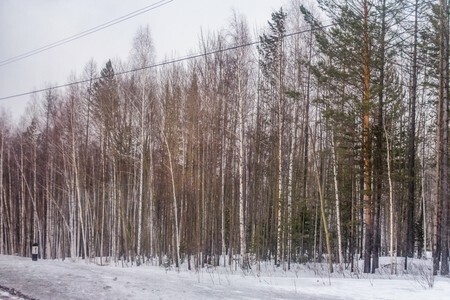 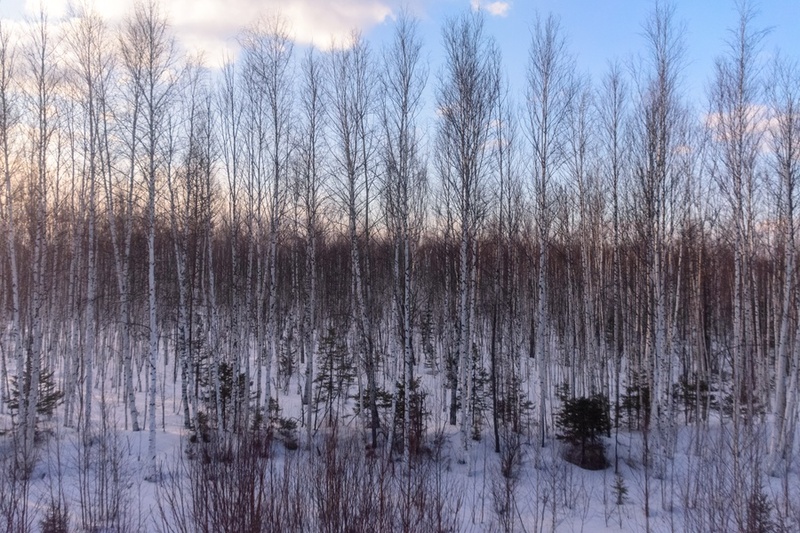 However, the typical landscape that flows from the train's window is this: a boundless taiga, or boreal forest, for hours and hours. The birches can be easily recognized by their white trunk, while the larches have a brown trunk, but in winter they are without leaves. 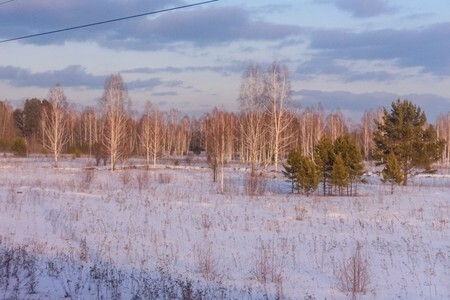 Instead the evergreen conifers are generally cedars. 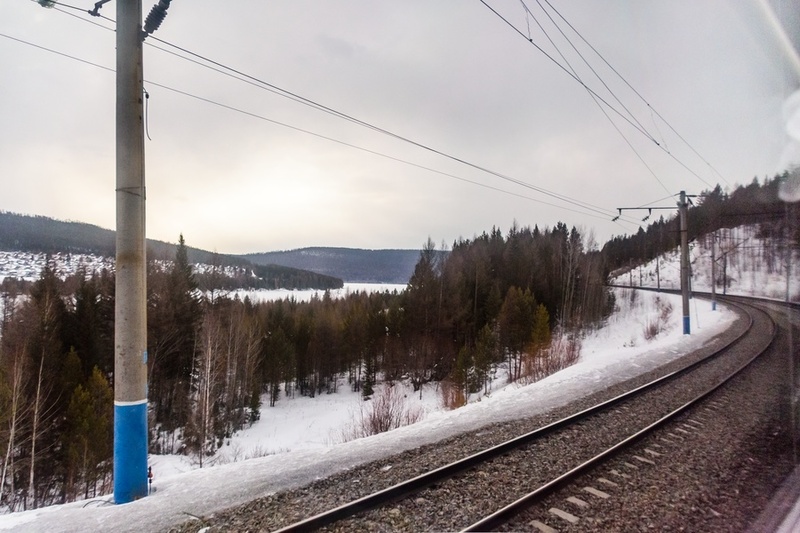 Near the city of Bratsk, the BAM railway line follows a rather tortuous path through lakes and rivers. 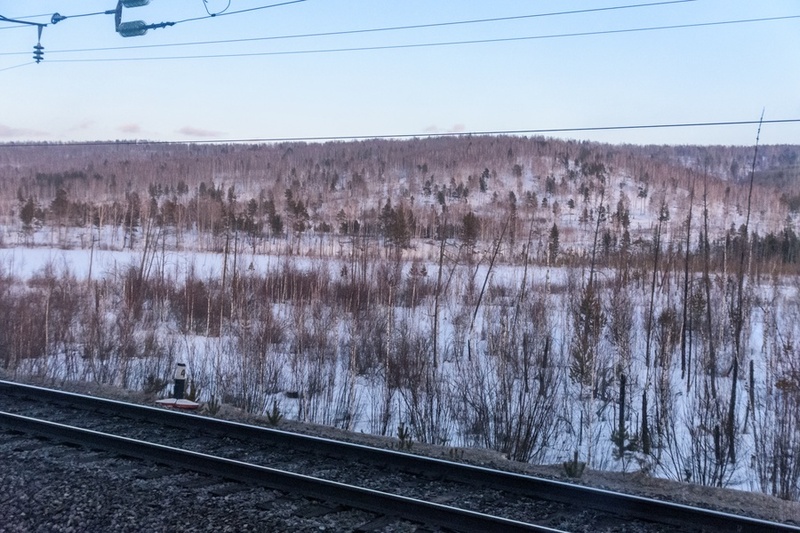 The curves are so narrow, that you can often see the track just under way from the window. 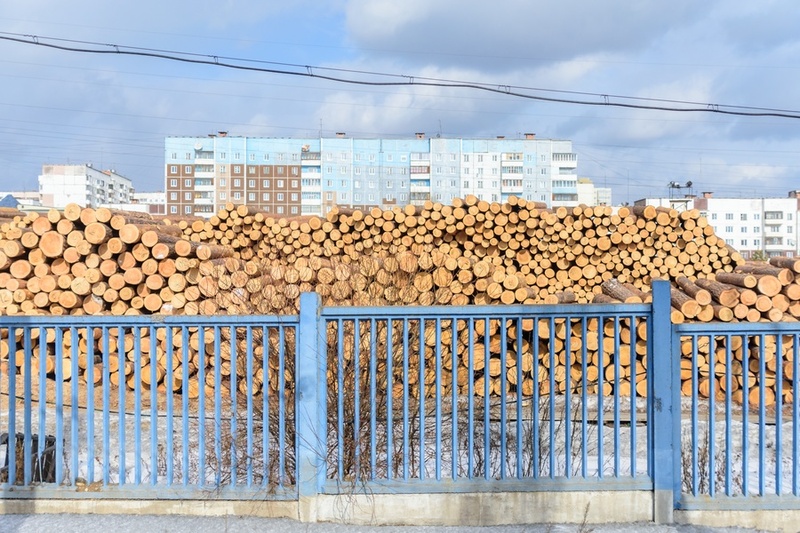 Stop at Padunskie Porogi station, between wagons loaded with thousands of logs. 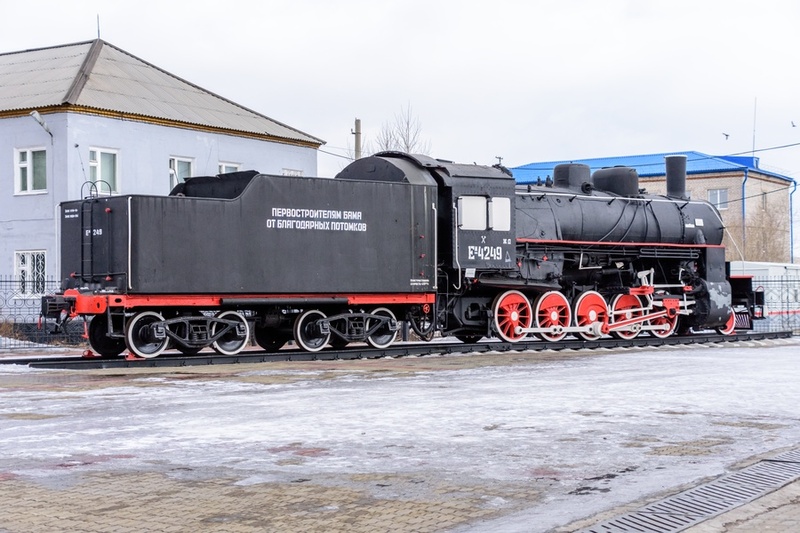 Then another stop of 25 minutes at Vikhorevka, still on the Baikal-Amur Mainline, where I have the opportunity to photograph a restored steam locomotive parked not far from the platforms. And here we are at Taishet, where the BAM line terminates and interconnects with the Trans-Siberian Railway. 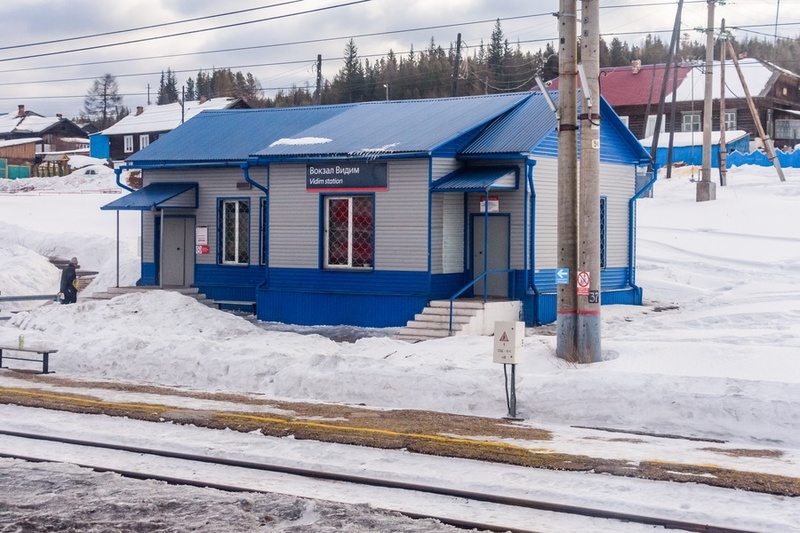 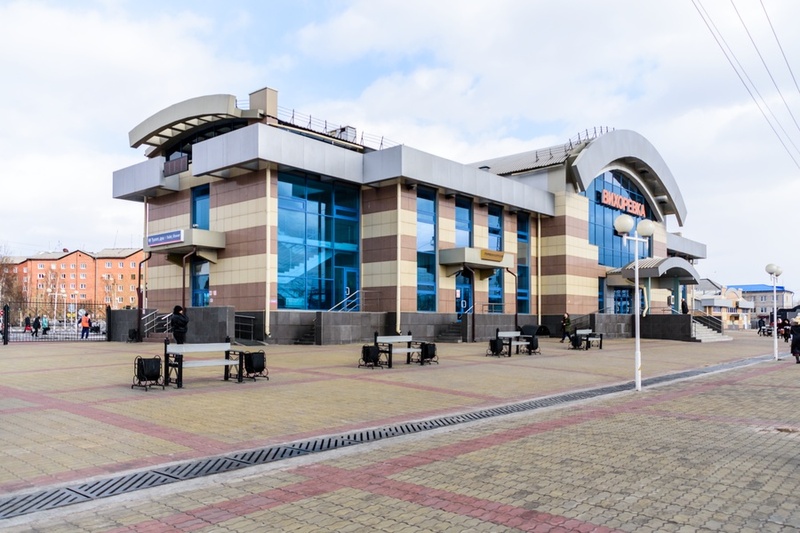 The stop at this station is 35 minutes long, as the train, in order to take the Trans-Siberian Railway, have to change the travel direction. 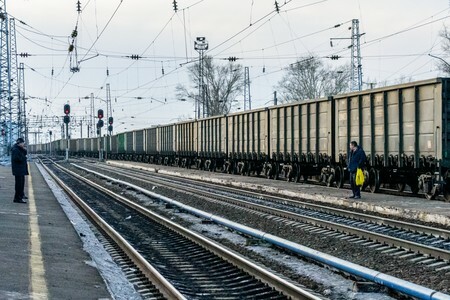 Meanwhile, long freight trains pass on the other tracks. It is now sunset when the train takes the Trans-Siberian line, direct to Irkutsk where it will arrive early in the next morning. 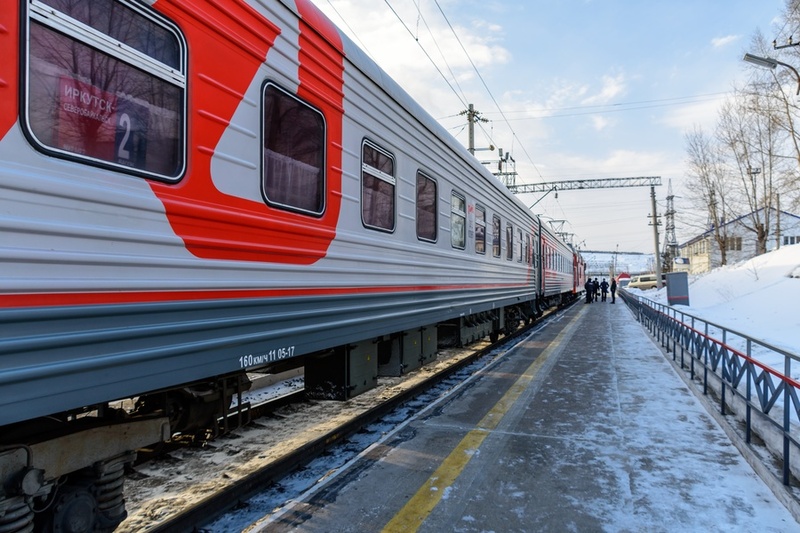 After Irkutsk the train will continue its service to southern Baikal lake and then to Ulan-Ude, after having traveled for 2189 kilometers in 39 hours and 44 stops.